So what exactly is a social entrepreneur? According to Ashoka.org, social entrepreneurs are individuals who come up with innovative solutions to society’s most pressing problems. I like to think of them as, first, seeing the places in their community, country or on the planet where people are falling through the cracks and systems are not working, then, coming up with creative new systems and models that really make a difference in people’s lives. Many people in the Boomers age group are becoming social entrepreneurs. I want to introduce you to five people who have become extraordinary social entrepreneurs. Each was a 2008 or 2009 Purpose Prize winner. The Purpose Prize is the brainchild of Civic Ventures, a San Francisco based think tank which awards ten prizes every year to social innovators over the age of 60. You can learn more about other Purpose Prize winners at Encore.org. Nasrine Gross grew up in Afghanistan at a time when girls still went to school, and her mother was a member of parliament. Today, 85% of the population is illiterate and women need their husband’s permission for just about anything. So, Nasrine created a literacy program for couples, and is changing the face of Afghanistan’s future through her organization, Kabultec Inc. The devastating loss of Liz and Steve Alderman’s 25-year-old son, Peter, in the Twin Towers on 9/11 changed, as Steve says, the trajectory of their lives forever. Inspired by a Nightline story on the one billion people on the planet who have directly experienced torture, terrorism, or mass violence, Liz and Steve are honoring their son by becoming a force for global good. Today, the Peter C. Alderman Foundation trains indigenous mental health care professionals and builds mental health clinics in post-conflict countries around the world. Growing up homeless with a “big mouth and a bad attitude”, Ann Higdon’s life was changed by one teacher’s confidence in her. When she realized that in the state of Ohio once you’ve dropped out of school you cannot return to get your diploma, Ann started Improved Solutions for Urban Systems (ISUS) which trains 16-22 year olds in construction, technology, manufacturing and health care with a combination of schooling, community service and hands-on training. The three charter schools ISUS runs are consistently ranked at the top of Ohio’s schools, and ISUS students are reviving entire neighborhoods. 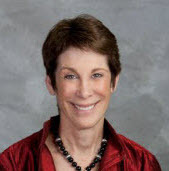 Finally, Barbara Cervone was fed up with the way youth are portrayed in our culture, so she created What Kids Can Do, Inc. and gives voice to this underutilized resource. With a 40 year background in education, Barbara knew first-hand that kids didn’t want to be seen as part of the problem, they wanted to be a part of the solution. Through the use of audio, video, books, and the internet, What Kids Can Do is re-shaping communities and tapping this rich resource. 2. Are persistent. They keep trying until it works. And, they never let road blocks, obstacles, or naysayers deter them. It’s their can-do attitude that keeps them moving forward — no matter what. 4. Have boundless energy. Barbara describes it best when she says that while many of her friends are slowing down at this stage, she has more energy than she’s ever had before, and often feels like a teenager. I’m not sure if the work creates the energy or the energy keeps the work going. Probably a bit of both! 5. Are exceptionally collaborative. In every case, these social innovators are masters of seeking out partnerships that support the work they’re doing, help spread the work, and make it sustainable. 6. Have a positive vision of the future. There’s not a gloomy Gus in this bunch. No matter how daunting the social problem (85% illiteracy in Afghanistan, one billion victims of mass violence) that some might call “hopeless”, they see the possibility and the potential for change and are hopeful and optimistic about the future. These self-described “ordinary” people are doing the truly extraordinary in their Encore Careers. And, I’m not sure if this is a requirement to be a social entrepreneur, but Nasrine, Liz, Steve, Ann and Barbara are — without exception — five gracious, humble and delightful people. Inspired? 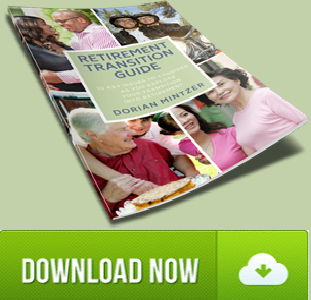 Have you begun to think about “what’s next?” for your “retirement transition” years? What’s most important to you when you think about where to live? Some people want to “stay put,” renovating their current home to accomdate changing health needs over time and/or to use the “village model” of sharing services as you age. Other people want to downsize but stay in the same geographical area. Still others choose a new location based on factors such as climate, activities, closeness to health care facilities and/or being near friends or family. If you plan ahead you have the opportunity to think individually about what’s most important to you and then talk with your partner about what you both want and/or talk and explore options with friends or other family members. 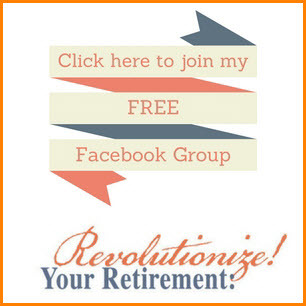 In addition, if you know the lifestyle you want you can make better financial decisions. It takes time to work out a plan, so it’s helpful to start early. But, don’t be dismayed if you haven’t started yet, it’s not too late to start thinking about these issues. You can expolore possibilities by talking with others, getting accurate information and using the Internet to research ideas. If finances permit you can travel and explore areas you’re considering or rent in an area ( for a few days or a few months) to see what the area is like on a day to day basis. To avoid this problem, some people decide to move to be near friends or relatives, or to move with their friends to a new location. Still others choose to create a “co-housing” situation or to join an already existing community. ”Co-housing” is a community designed so residents can socialize, share services and have some meals together and the “senior co-housing movement” is expanding. 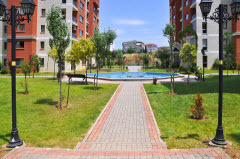 Other people decide that a Continuing Care Retirement Community offers the best option. What is clear is that there is no “right way. “ We learn from positive psychology that our sense of well-being comes from a sense of connection, community and purpose and meaning thoughout our life. Each of our situations is unique and no ”one size fits all”. I recommend Ann Carrns”s NY Times article, ”The Company You Keep. “ Learn about some of the people she talks about and their choices. I’m quoted in the article and The Couples Retirement Puzzle is mentioned. Copy and paste this link into your browser. ) http://www.nytimes.com/2011/09/16/business/retirementspecial/a-retirement-home-with-familiar-neighbors.html to read the article. There are all sorts of reasons why many of us avoid discussing these issues. But, given my philosophy of trying to control the parts of life we can control,it’s important for all of us to think ahead and plan for ourselves, our partner, our children (if we have them), our parents (if they’re still alive) and even our pets. It’s actually a form of “insurance” to protect ourselves and our loved ones–to consciously and intentionally plan for the next stage of our lives. 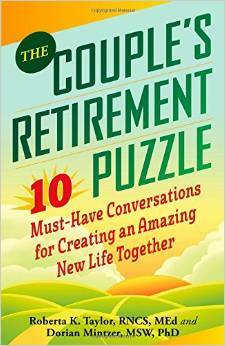 Our up-coming book, The Couples Retirement Puzzle: The 10 Must-Have Conversations for Transitioning to the Second Half of Life focuses on many of the conversations that are important to have. This book, Next Steps, provides some legal and practical “nuts and bolts” regarding how to prepare for this next half of life. Are you on the same financial team as your partner? 1. Learn about your partner’s money history. Yes it is difficult to talk about money in our society but in order to have a good marriage or partnership it is essential. With the recent economic turmoil, more and more people are discussing money matters so use this as an opportunity to talk to your loved one about his or her thoughts and feelings about money, what he or she was taught financially growing up and how these lessons influence current spending and saving behaviors. Here’s a great question to start the conversation off on the right note. “What are you most proud of financially?” Yes, you can talk about the good parts of your relationship with money as well as the things you would like to change! 2. Create and develop a shared vision. Couples go through changes and developmental patterns just like individuals do. Starting out you want to make sure you discuss money matters along with having children, living arrangements and the usual dating conversations. If you did not start out that way, no problem. 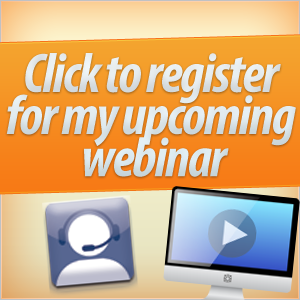 It is never to late to have a “financial meeting” to start the process. Create a vision of what you want your lives to look like now and in the future. Write this long term vision down and review it periodically. Having a shared vision around money and your life together as a couple will increase intimacy and allow you to find out more about your partner, his or her dreams and how you can live a wonderful life together. Remember that you do not need to agree on everything, you just need to respect each other’s viewpoints. 3. Agree to productive money conversations. Here are a few tips on how to have a healthy conversation around money. Follow these tips and make sure you take a break if one or both you is unable to follow these guidelines. Use “I” statements. Start the conversation with “I am concerned about X, Y and Z,” not “You did X, Y and Z.” It may feel like a subtle difference but it will get both of you started off on the right foot. Respect each other and talk about your experience helps you not accuse your partner of wrong doing. And nobody likes to be put on the spot. Using “I” statements takes practice, but there is better time to start than today. Set ground rules. It is important to agree that you will not blame each other, that you will agree to disagree if needed and you will get some professional help from a money coach or therapist should you not be able to follow the rules. We all need help from an expert from time to time and a few meetings with a money coach can go a long way in getting two people back on track and on the same team. Set time aside. Life gets busy so you need to schedule “financial meetings” from time to time. Agree to a time to talk for 30 minutes about the topic of money and your couple hood and keep the appointment. If you have kids, make sure they are taken care of so you are not interrupted. These financial conversations make great excuses to get a babysitter and treat yourselves to dinner and movie once you are done. You can listen to the full interview from 6/19/09 here on BlogTalk Radio . I recently saw the Pixar movie UP with my son and husband –and recommend it for all ages. In its lovely, colorful, animated way it shows the journey of life from the innocence of childhood with its heroes and dreams to the second half of life with losses and disappointments. We share in the dreams and sadness of childhood sweethearts, Ellie and Carl, as they grow old together. After Ellie dies, Carl, a 78 year old grumpy widower and former balloon salesman sets out to fulfill Ellie’s dreams. In the journey that follows, in spite of himself, Carl becomes an “action hero” who has to confront his childood hero, connects with Russell (an Adventure Scout who wants to earn his badge by helping old people), Kevin, a colorful bird, and Dug, a wonderful talking dog, and ultimately, finds his own connections and purpose and meaning for his life. I’ve over- simplified this, but it’s well worth seeing! I’d love to hear your reactions once you’ve seen the movie.